Xericulture? 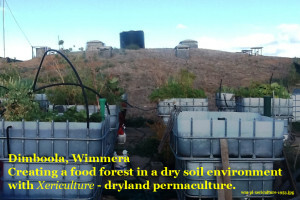 Permaculture in a flat dryland environment. 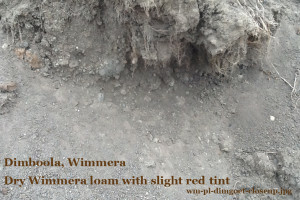 1 solid foundation to build a xericulture food forest upon which does not crack or drift. 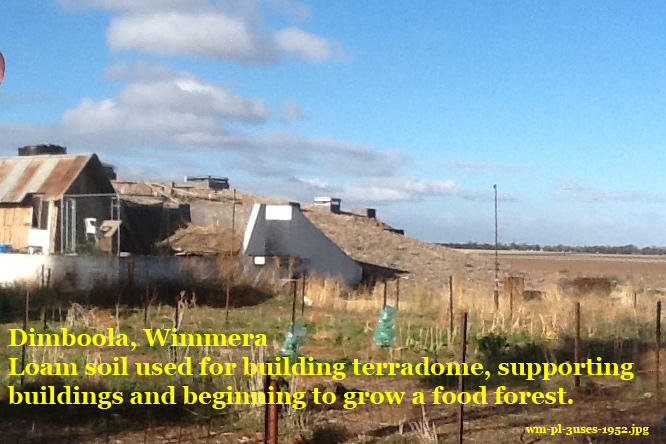 2 building material from the dam used to build the Terradome. – ponds for aquaculture with yabbies and silver perch with catfish- next to the terradome. – the ‘chook cathedral’ which will fertlise the aquaculture. 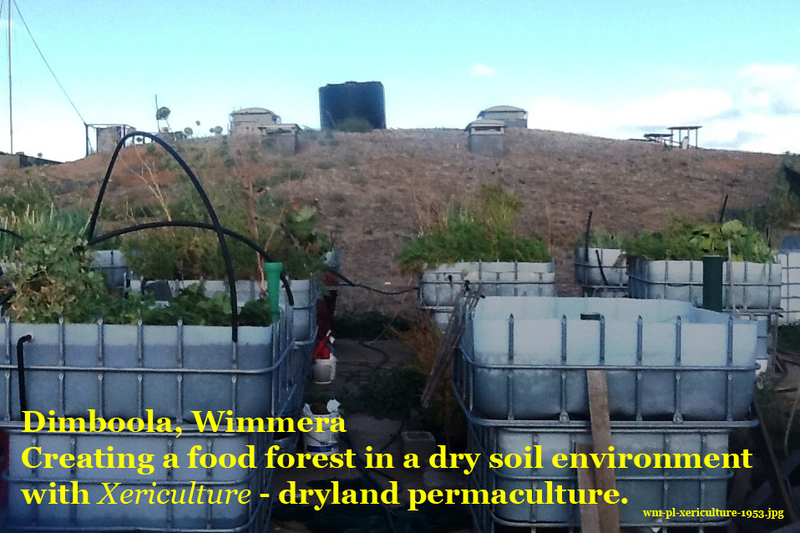 Some more soils being managed by permaculture principles are from the Koute de Tyon, in the Savoie, France (also en francais) , Olambo’s Paradise Farm on M’fango Island Kenya and Treehouse garden in Glen Waverley Victoria.